On December 11, Keidanren USA hosted M​r. 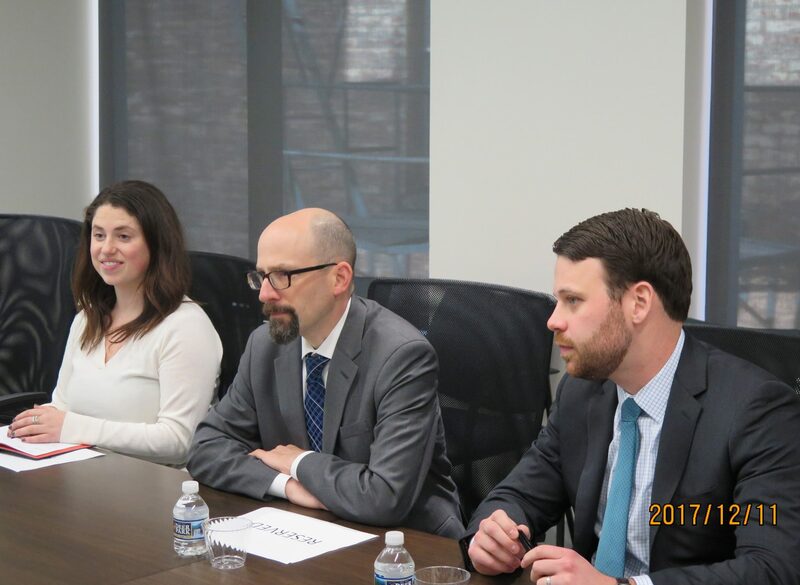 Aaron Brickman (Senior Vice President, Strategy & Development), Mr. Kris Denzel (Director, Government Affairs) and Ms. ​Emma Harris (Associate, Strategy & Development) from Organization for International Investment (OFII) ​for Roundtable Discussion. They provided an update on the impact of tax reform for in bound companies.